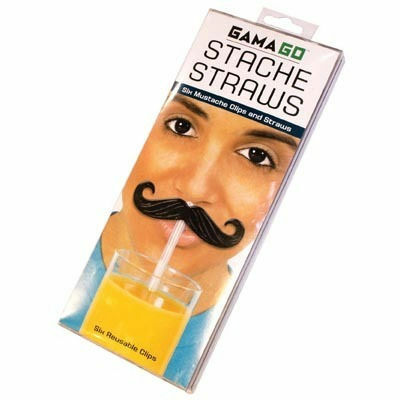 When that guy across the bar keeps giving you eyes, but you've got a husband and no interest, pull out the Stache Straw and watch him run away. 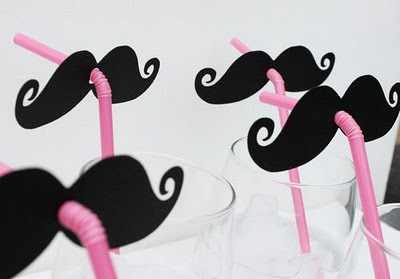 If you need a sudden growth of facial hair, clip one of the fake mustaches onto the straw and you'll look just like Magnum P.I. 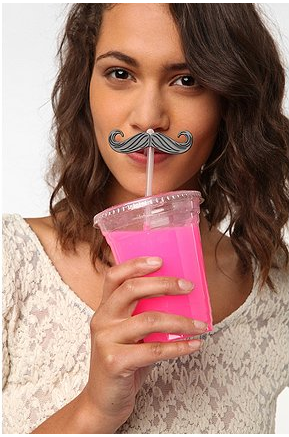 The Stache Straw is perfect for any drink, from a fuzzy navel to soda pop. You'll look great, or at the very least, like you're about to tie an innocent damsel to some train tracks. 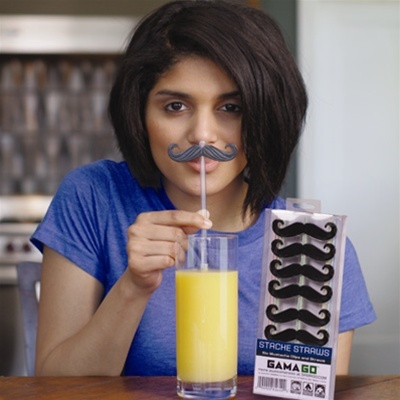 Reusable Stache Straws come in packs of six mustaches and straws and are dishwasher safe.